The Federal Employers Liability Act, commonly known as the FELA, is a law that protects railroad workers who have sustained a personal injury on the job. The law has been in effect for over 100 years. As a result of the law, injured railroad workers are not covered by state Worker’s Compensation laws. Instead, a railroad worker who has a personal injury as a result of working on the railroad can make a claim and/or file a lawsuit against the railroad. One of the main benefits of the FELA is that the legal standards for making a recovery as a result of a railroad personal injury are not as stringent as many state laws for typical personal injuries. In addition, the benefits under the FELA are typically more generous than those of state worker’s compensation systems. 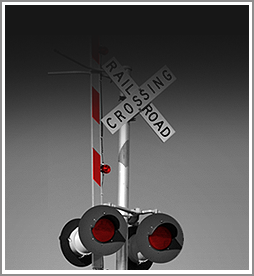 If you have a railroad personal injury, the law firm of Wilson & Hajek can provide skilled legal representation to guide you through the system. Railroad workers can collect for injuries.Call the personal injury law firm of Wilson & Hajek.